This novel in the series of 7 was very well-done. 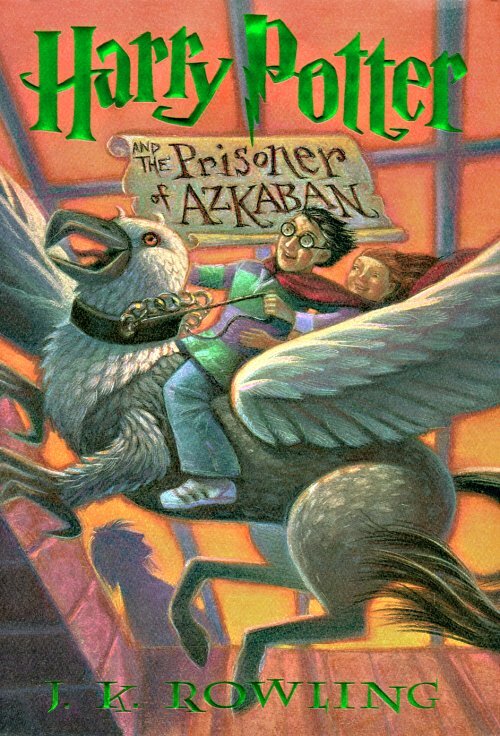 It’s the last of the shorter Harry Potter books, but it’s the first of the deeper, more serious books in the series. Of course, you know I loved it — I can’t seem to help that when it comes to Rowling’s amazing series (hence the really prejudiced adjectives in this and my most recent two posts) — but I think it’s interesting to read having finished the rest of the series already and knowing what I do about Snape, Voldemort, and the overall outcome of the storyline.In any case, this time around I was struck by the recurrent idea of appearances vs. reality. In this novel, there are a lot of instances where if you judge something by your first impression of it — by what you think of it based on how it looks — you’re going to be wrong. With Professor Lupin’s shabby robes, gentle personality, and big secret, you definitely can’t make snap judgments. Likewise, with Snape’s reprehensible behavior (interesting, given what ultimately happens with him) you really see more shades of gray than Rowling has given before. There is only one black-and-white villain in this novel: Wormtail. And even with him, you can see why he went the way he did; you don’t like it, but you can see why it happened. In some ways, this novel is Rowling’s first novel that truly starts to get at some of the deeper issues embedded in her series, and yet it’s a pleasurable read. Once again I found myself reading almost twice the pace I’m able to with “normal” books, and I know it’s going to be a bitter disappointment when I go back to reading books for my dissertation and end up realizing that I’m not as speedy as Harry Potter would have me believe….That said, I did find myself surprised at Snape’s viciousness in this book. I always gave Snape the benefit of the doubt, but now I’m wondering what led me to do that. At the end of this novel (plot spoiler!!!) when Harry, Ron, and Hermione have discovered the truth about Sirius’ innocence and Wormtail’s guilt, Snape is not simply a misunderstanding adult. OH NO. He’s a real jerk about it. He willfully ignores them, speaks in private with Cornelius Fudge in an attempt to ensure that Sirius gets the dementor’s kiss, and seems hellbent on not just thwarting Harry but actually destroying Sirius. It wouldn’t have surprised me if he had whipped out his wand and killed Sirius himself.In the end, I loved the book (shocker) and will definitely be reading it again…and again, and again, and again….